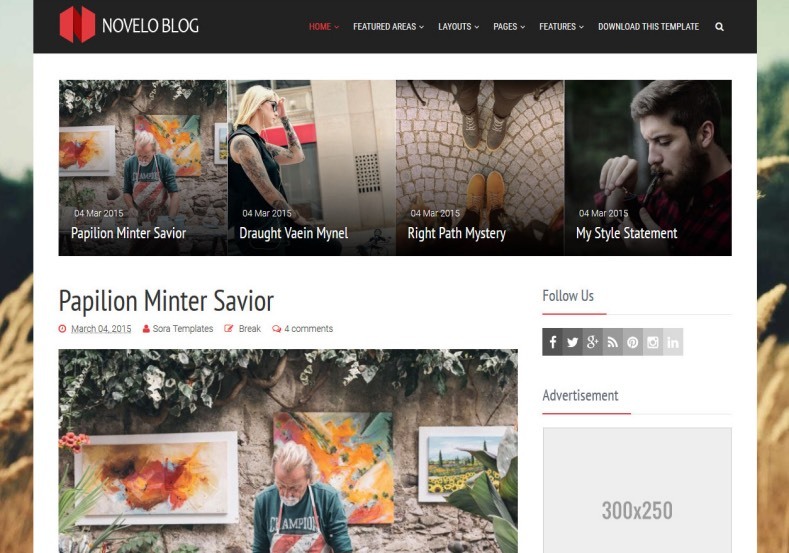 Novelo Blogger Template Free and Premium Version available for downloading. Click this link to download Novelo Blogger Template easily. Click the 'Download Free Version' button to download - Novelo Blogger Template for free which you can use in your blogspot blog by keeping author credit links in footer section. Click the 'Premium Version' button to download - Novelo Blogger Template for $9.95 only via PayPal which you can use in your blogspot blog freely without having any credit links in footer section along with lifetime support. Copyright © Blogger Templates and Blogger Themes Collection | Made with by Indians.